Acrobatic Gymnastics is not for everyone, but it is very rewarding for those who aspire to challenge themselves. Please contact Coach Gretchen for more info. Acro Pre-Team program provides training in beginning skills for recreational activity and in preparation for competition at higher levels. Gymnasts will compete in sanctioned USAG Local, State, Regional championships. Girls will train in USAG Junior Olympic Program. Pre-Team gymnasts come to class twice a week. Pre-Team gymnasts are introduced to competition through fun and low-key meets, both at home and away. On average, girls spend 1-2 years on the Pre-Team level before advancing to the next ACRO level. Athletes choose different elements from balance, dynamic, and individual categories. These elements are choreographed into an exercise of the athletes' and coaches' choosing. Gymnasts will compete in sanctioned USAG Local, State and Regional championships. ACRO gymnasts come to class 3 times a week. Generally, gymnasts are invited to join the team after mastering skills through our Pre-Team ACRO Levels 5 program. 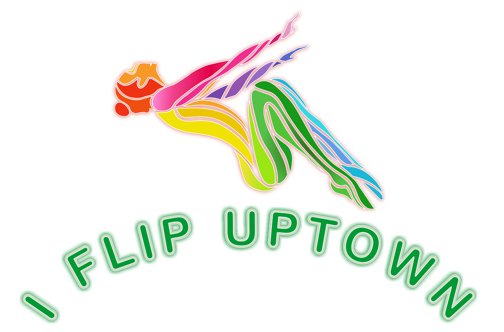 Gymnasts will compete in sanctioned USAG Local, State, Regional, National championships and International invitationals. ACRO gymnasts come to class 3 to 6 times a week. Coaches will promote gymnasts to this and next level when ready. The Developmental Levels 1 through 3 will compete against other gymnastic clubs in Louisiana. Level 1 Team gymnasts come to class twice a week. Level 2 and 3 Team gymnasts come to class three (3) times a week. Compulsory Level 4 is progressive in nature, building upon the skills required at the previous levels. Gymnasts will compete in sanctioned USAG Junior Olympic against other gymnastic clubs in Louisiana. Level 4 Team gymnasts come to class three (3) times a week. Semester Fee includes a $50.00 non-refundable registration fee. Current Members: to enroll your child in a class you have to log into Parent Portal and select class. New Members: to enroll your child in a class you have to create a new member account then log into Parent Portal and select class. Click here for more information. To enroll your child in a class please download registration form and mail it back to us. Girls are to wear a leotard and a ponytail. Ponytails must be worn on gymnastic days to avoid injuries and promote safety. No bulky hairpieces or jewelry. You may purchase a Leotard for $40.00 by filling out our Leotard Order Form. You may also purchase a leotard anytime by visiting our Pro Shop during regular business hours. Parents are always welcome to view class! However, only registered students and coaches are allowed in the gym and on equipment. Parents and syblings must sit in the parent waiting area during classes. At no time are parents or sibling allowed to spot or assist gymnasts on skills in the Gymnastics Center. If you cancel before the semester begins, the $50.00 registration fee is non refundable. Because NOLA Gymnastics is holding a spot for your child the entire semester, tuition is non refundable if you decide to cancel anytime during the semester. Children cannot be unsupervised. They must be accompanied by an adult to and from the gymnastic facility for their safety. Please park in the neighborhood and enter thru the Dufossat side door. THE USE OF CAMERAS OR VIDEO IS PROHIBITED IN THIS FACILITY. NO FOOD OR BEVERAGES ARE ALLOWED IN GYM AT ANYTIME. NOLA GYMNASTICS LLC IS NOT RESPONSIBLE FOR LOST ITEMS OR FOR ITEMS LEFT IN THE WAITING AREA. Students enjoy fitness, tumbling, beam, bars, vault, obstacle course, music and fun. We teach the USA Gymnastics curriculum. Every semester there's an optional small competition for all Beginner students to participate in. Students may compete against other beginners from Newman, McGehee, Sacred Heart and Trinity. Rainbow ribbons are given as each child achieves a skill. This is an excellent motivational tool that helps a child set goals and provides parent feedback. Girls will train in USAG Junior Olympic Program and are introduced to Acrobatics. Students are selected by invitation only. Girls will compete in USAG Junior Olympic Level 1-2-3-4 against other gymnastic clubs in Louisiana. Students are selected by invitation only. Gymnasts will compete in sanctioned USAG Local, State, Regional and National championships in Levels 5 - 9. While every effort is made to provide accurate and up-to-date information, NOLA Gymnastics, LLC, reserves the right to change, without notice, statements in the Class Schedule concerning classes, times, rules, policies, procedures, tuition, fees or other matters. Classes may be closed because of limited resources or facilities, or canceled because of unavailability of faculty or insufficient enrollment.